My granddaughter, Larkin, spends a lot of time with me, usually four days a week, and we like to have an occasional slumber party. She turns 4 next month and this has been my favorite year. 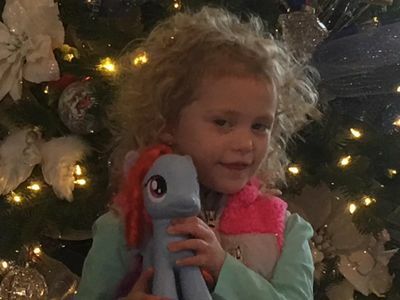 We are enjoying all the adventure that Christmas brings, but when I'm busy she enjoys playing with my little pony.